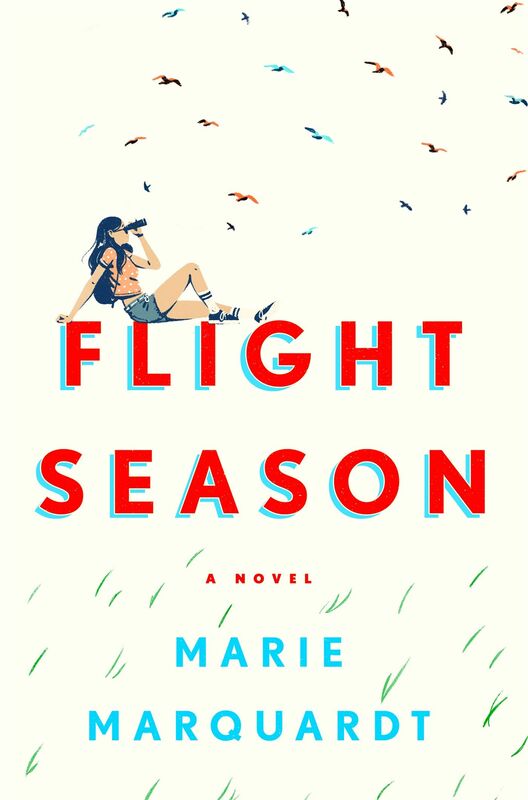 Marie Marquardt is the author behind the beautifully rendered Flight Season, a YA novel about college, love, and new beginnings. Her writing brings to life the chaos of adolescence and the sweet yet awkward nature of first love. Marquardt tackles the fluffy and serious aspects of young adult life, bringing teens an honest and lovable novel that’s nearly impossible not to enjoy. 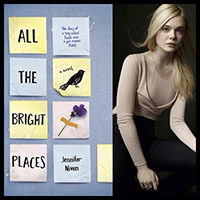 Below, Marie Marquardt and I discussed her inspiration for Flight Season, immigration, and tackling college life in YA. What first inspired you to involve birdwatching in Flight Season? One of the main characters in the story is Vivi, a nineteen-year-old who is grieving the death of her dad. Grief is such a difficult thing – both to experience and to write about – because each person moves through it in ways that are unique and, in many cases, surprising. Vivi’s grief makes her feel apart from the world, like she’s moving through it but not present in it. That distance doesn’t make for a strong narrative voice on the page! I really struggled to articulate her voice, her identity. While I was battling with giving Vivi the right voice, I spent some time with my nephews, who are avid teenage birders. I noticed their unique perspective — always focusing on what’s happening beyond our space of human interaction, with one eye trained on the birds that surround them. I thought it would be cool for Vivi, who is having trouble centering on relationships with other people, to orient away from human relationships, intrigued by birds and how they live and move. Vivi’s focus on the lives of birds is partly an escape from the pain of her human relationships, but it’s more than that. Vivi looks to the skies (to birds’ behaviors and calls) for guidance as she tries to put her life back together, and that actually keeps her grounded in reality. I guess that’s ironic, isn’t it? Most YA features characters in high school. What made you choose to write about characters who are in college? I wrote this story because it was the story I needed to tell. More generally, though, I think teens want to read about what’s next for them. 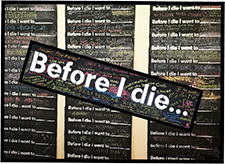 Many young teens love stories about juniors and seniors in high school, but older teens are already having those experiences, so they’re like, “Been there, done that.” The older teens I know tend to obsess over life after high school! I think we need more stories about that time of enormous transition. How long did it take to finish Flight Season from start to finish? How would you describe the writing process? The writing process for this book was fast and furious. As I said, I really needed to tell this story, so once I mustered the courage to do it, words filled pages quickly. I drafted Flight Season in less than six months and then worked on re-writes and edits for another two or three before it was ready to go to my editor. 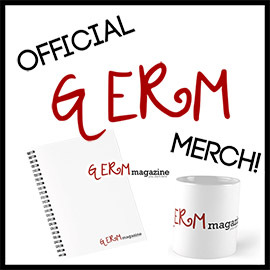 What was your favorite part of writing this book? What was your least favorite? My favorite thing: I absolutely loved learning about birds and finding the right birds to arrive at the right time in the story. Honestly, I didn’t think much about birds before I started this book. Now I’m mildly obsessed. They’re so extraordinary, and they’re around us all the time, living amazing lives – going about their business while we’re down here on earth making a mess of things. They’ve been around since prehistoric times, and they’ll almost certainly outlast us all. It may seem strange, but I take comfort in that. My least favorite thing? That’s easy. Like Vivi, I lost my dad when I was barely nineteen. To write her experience of grief accurately, I had to give myself permission to remember, and in some ways experience again, my own pain. That was a scary thing to do, but it also brought incredible clarity and healing. Frankly, a bit chaotic. I share my house (which also is my writing space) with a spouse, four kids, a dog, and a bearded dragon. They keep me busy, but it’s a house full of love! What books or authors have influenced your work the most? The book that gave me the courage to write was Jenny Downham’s You Against Me. She takes a complicated, messy, and politically charged social issue and makes it personal and deeply felt. That’s what I hope to do with my novels. Without spoilers, do you have a favorite scene from Flight Season? One of my top three favorites is set in a COSTCO. I love it when readers tell me that scene made them cry. It’s tough to imagine an emotionally resonant scene unfolding in the toilet paper aisle of COSTCO, but that’s what I was going for! Your author bio says that you previously worked with organizations involved with immigration. Can you describe your experience working in this other field, and has it affected your writing in any ways? I’ve worked with undocumented immigrants and asylum seekers from Latin America for about two decades as an academic researcher, advocate, service provider, and friend. I run a non-profit called El Refugio with an amazing group of committed people. We support detained immigrants and their families by offering programs of hospitality and visitation. Because of that work, I spend a good deal of time with immigrants in detention, many of them young adults. It’s heartbreaking work, but I also am awed by the resilience of most detained immigrants and their families. They have so much to fear, but they refuse to let that fear overcome them. Instead, they are driven into action by their love for friends, parents, children, spouses. That’s been remarkable to witness, again and again. My experiences with young immigrants and asylum seekers have given me the courage to resist fear-based living and to take risks. These relationships honestly have changed me as a person, and they’re what compel me to write my stories. All of my novels explore the effects of our terribly broken immigration policy – not only on certain immigrants but also on the people who live in community with them, go to school with them, work with them, fall in love with them, become their friends. I hope these stories will contribute to conversations about this country’s desperate need for immigration reform; and, most importantly, I hope my stories will help us recognize how deeply all our lives are intertwined. Finally, what advice do you have for aspiring writers? Write the stories that keep you awake at night. Write from your heart. Be fearless.